This entry was posted in Ask Jesus into your heart, General Devotions, Love, Prayer, Uncategorized and tagged Ask Jesus into your Heart, Celebrate Recovery, Christian, Gods perfect timing, Rob Lavallee, Scriptural Seeds Ministries, www.scripturalseeds.org on January 23, 2016 by Rob Lavallee. Get your head covered, it’s cold outside. How many remember your parents saying that to you? Well it is the same here. We need to get our heads covered. The enemy is always looking to get negative thoughts into our mind. He wants to bring doubt and unbelief. He knows that if he can get us to doubt God’s Word he can continually defeat us. 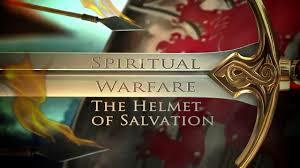 As you get spiritually dressed today, look to Jesus, and thank Him for this great salvation that He has given to you. 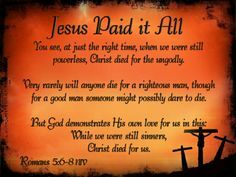 Thank Him that you are heaven bound and that you will never go to hell because of all that He did on the cross. As you do this, remember the work of Calvary and His resurrection and let the helmet of salvation get on your head and protect you from the thought bombs of the enemy. When they do come, cast them down in Jesus’ name and receive the victory through Him. If you have not ever asked Jesus into you heart,; please consider how close we are to His return. Don’t miss out on all of His blessings, but also His guidance and protection. It was the greatest decision I every made. I could not ever imagine my life without Him. If you want to learn more please click here to learn more. This entry was posted in Spirtual Warfare and tagged armor of salvation, Ask Jesus into your Heart, Celebrate Recovery, Christian, Christian Devotion, daily devotions, Ephesians 6:17, General Devotions, helmet of salvation, Jesus, Jesus christ, Rob Lavallee, Scriptural Seeds Ministries, spiritual armor, spiritual warfare, www.scripturalseeds.org on October 2, 2015 by Rob Lavallee.